You hear a lot about “getting the balance right” when you are working as a freelancer. Everyone has their own idea of the perfect working day, and the work / play balance will be different for everyone and may change throughout time. What works perfectly well for you at one time may not work so well at another. Priorities change and even long term projects can impact on the delicate balance of the working week. When “employed” folk talk about the working day they usually mean a variation on an 8 hour day… the good old 9–5, with frequent breaks and a lunch hour. But as I noted earlier, when you are freelance the 9–5 usually turns into 24/7. One good way to figure out where your own balance is lying at the moment is to have a look at your timesheets for the past few weeks. See how your work stacks up… are you spending more time on one thing than another, and when are you taking breaks? 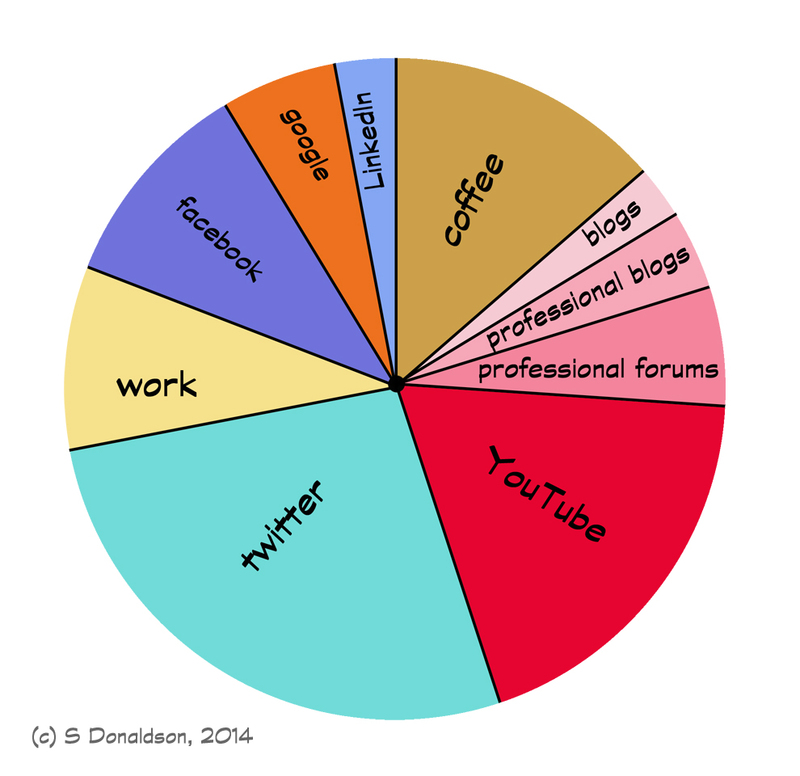 But that doesn’t give you the whole picture… you need to take into account your time online and your “management” time. If you take notes (honest ones) over a week or so you will soon find out exactly how you are doing. It all sounds like a hassle doesn’t it? But… just like when you keep a food diary, if you keep an honest work diary you will soon find out where the time is going and figure out what needs to be done. Are you working too long without a break? Set a timer or figure out before you work where a good break might be. Concentration wanes over time and you will not be working at your best – a break really is vital to recharge those old brain cells. Are you “playing” on the internet too much? Yes, we need a break from work, time to focus on something else, but the internet eats time. Set out acceptable limits and if necessary turn the internet off while you work. Are you working too long without taking time to catch up? Professional forums and blogs are a great way to keep up to date, they are the water cooler for freelancers. You need to keep up with your profession, don’t see this as playing – a certain amount is vital for development and being aware of your sector. Is your balance just totally off? Does your day consist of only coffee and hard graft? If you are sitting down to work and doing nothing but work, solid, for eight hours or more a day, you are in danger of burn-out. As an editor I’ve found that the working day, just work nothing else, rarely goes over five hours. For tasks that require lots of brainwork, I’ve found that anything over five hours (including breaks) and productivity dips alarmingly. 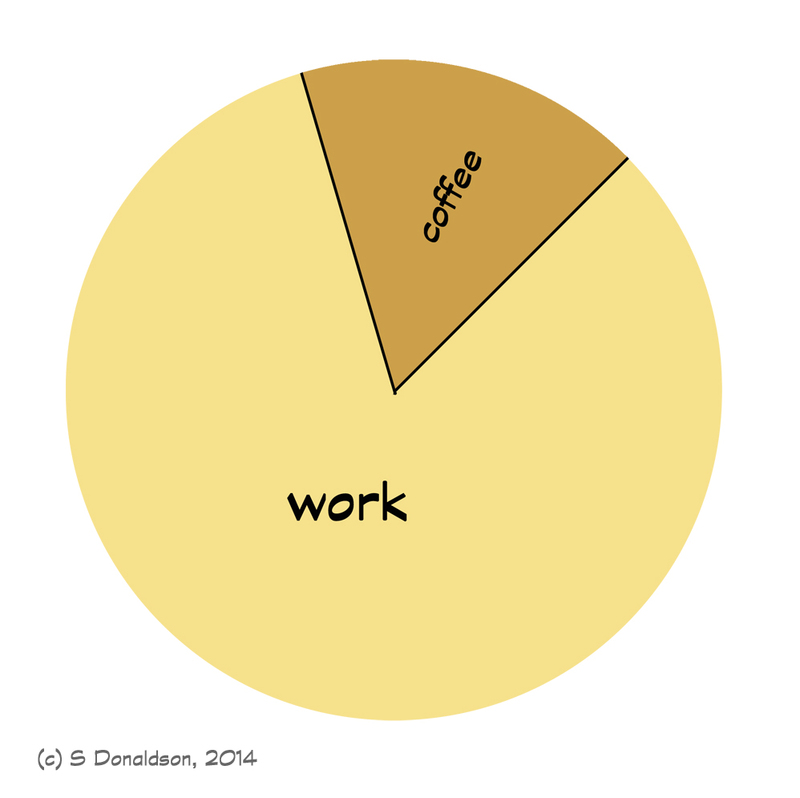 Once you’ve got your days and your weeks sectioned up from your timesheets why not sit down with a coffee and make a visual representation of your work / life balance? There are loads of chart creation websites out there, from kid’s tools like the National Center for Education Statistics chart creation tool to the more adult onlinecharttool.com or if you fancy some real time out get yourself creating your own. Sometimes only a picture will show you just how good or bad things have become. Think of it as a mini business plan review. So here, by way of an example, is a mock up of three of my days, 9–5ish. Seem familiar? Was I really on Twitter that much? Here we have a typical bad working day. One of those “I just can’t concentrate” days. 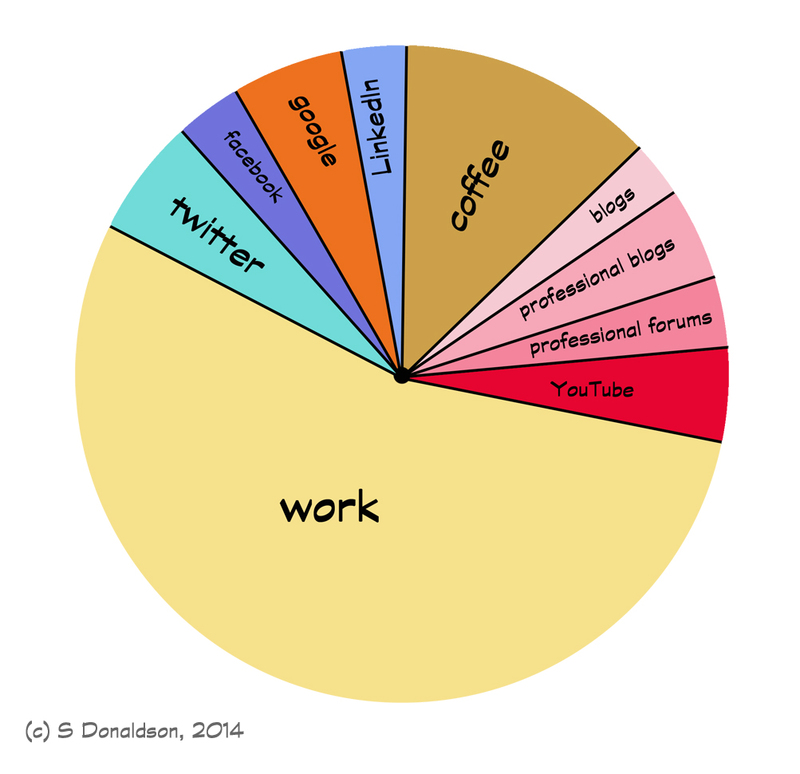 Work is only really a few hours, there’s a lot of playing on the internet and a fair bit of time on professional websites. Needless to say, it wasn’t a very productive day. Yes, most of that coffee was taken working… the time noted was the kitchen time! Now we have a nightmare day. The deadline was short, the coffee was constant and this actually turned out to be a very long day, not even a 9–5… much longer than that. Finally we have a typical productive day. There is plenty of actual work getting done, but time is left for professional stuff and a bit of social media and play. Concentration stays high and productivity is pretty good (remember, I did say “real” work amounts to abt 5 hrs a day… and some days there is no social media whatsoever). How does this stack up to your own working day? Is it any better or any worse? We all have our prefect balance, but by seeing it in colour it can help us see how we are doing.